Garry Kasparov became the youngest world chess champion in history in 1985 and remained the top-ranked player in the world for twenty years. His five matches against Anatoly Karpov brought the game of chess to new heights as a modern professional sport. Kasparov’s enthusiasm for new challenges resulted in his famous matches against the IBM supercomputer Deep Blue. Kasparov retired from professional chess in 2005 to help lead the Russian pro-democracy movement. He has also become a popular speaker to business and political audiences on topics of human rights, leadership, technology, and strategic planning. His 2007 book on decision-making, How Life Imitates Chess, has been published in over 20 languages. 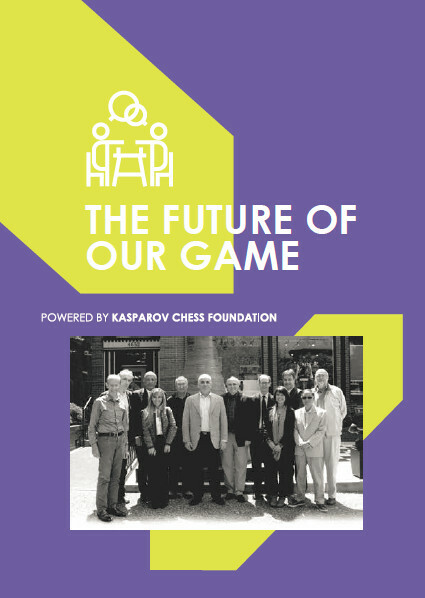 Both during and after his career as a player, Kasparov has been an active advocate of scholastic chess programs around the world. Garry does a great deal of Charity work. From Israel to Brussels and London to New York City, he plays Charity Simuls and has created his own Foundation in the US, Europe and in Africa based on his dream of bringing Chess into classrooms everywhere.